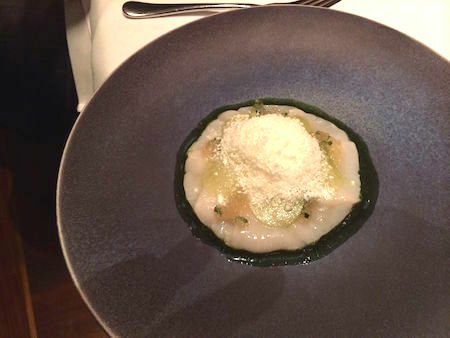 BRETT GRAHAM has a two-month waiting list for his Michelin Star restaurant in London’s Notting Hill. Not surprising since his Modern French cuisine is exceptional — exceptionally prepared and exceptionally presented. 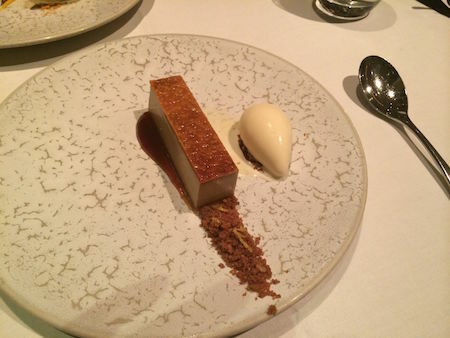 THE LEDBURY vaulted into the World’s Top 10 restaurants in 2014, but dinner at The Ledbury never felt pretentious or highfaluting in anyway. 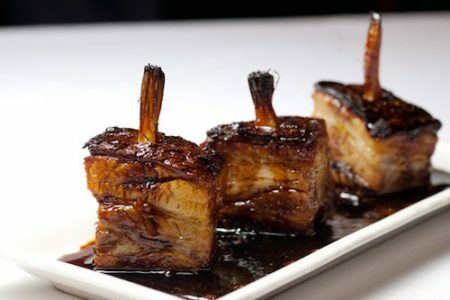 The menu is Modern French, but Chef Graham mixes Pacific Rim influences and impeccably sourced British ingredients to create dishes that dance on your palette. 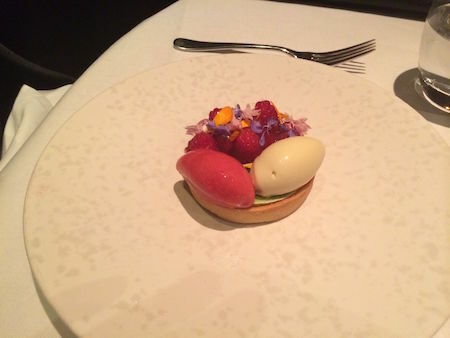 I especially enjoyed the lighter touch with very little dairy or sleep-inducing carbs showing up on his plates. After several amuse bouche, the Ceviche of Sea Scallops arrived. Paired with frozen horseradish, it was delicate, vibrant and fresh. 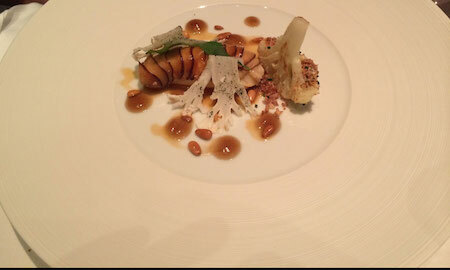 The plump and sweet Scottish Langoustine were wrapped in shiitake mushrooms and served with cauliflower. 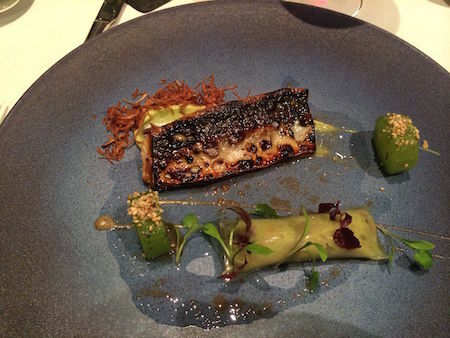 Flame-Grilled Mackerel melted in your mouth while the pickled cucumber and dried shallot made the entire dish sing. 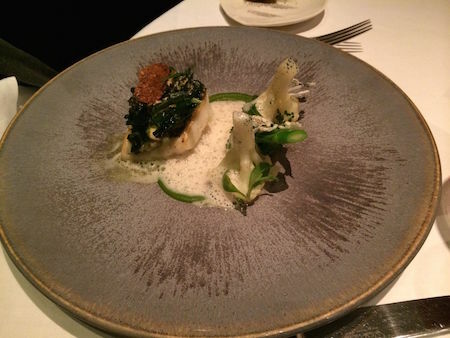 Cornish Turbot + Brassicas was delicate with added punch from the sake foam. 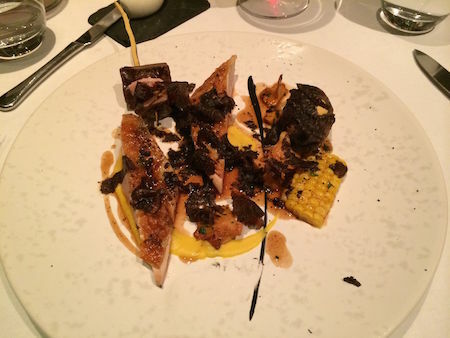 The Quail + Sweet Corn was indulgent without feeling heavy. Desserts were less inventive, but delicious. 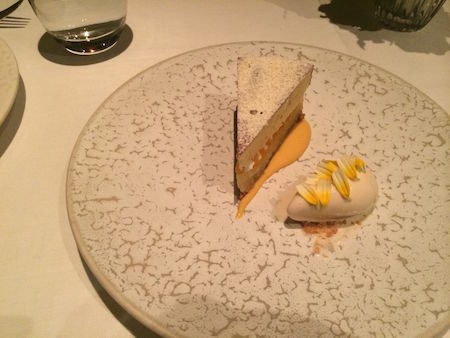 Meals at THE LEDBURY are innovative with a unique balance of flavors, textures and complexity. Service is knowledgeable, welcoming and unobtrusive with a feeling of neighborhood coziness that’s rare in Michelin star settings. Needless to say, THE LEDBURY was my favorite dining experience of 2014 and I can’t wait to return this summer to see what’s new.